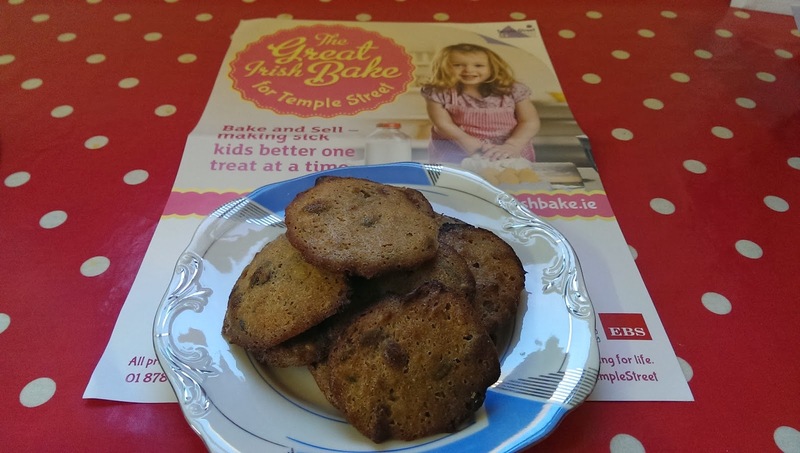 The Great Irish Bake for Temple Street is already underway here in Ballinasloe. Our jar is out, ready for collecting the money. 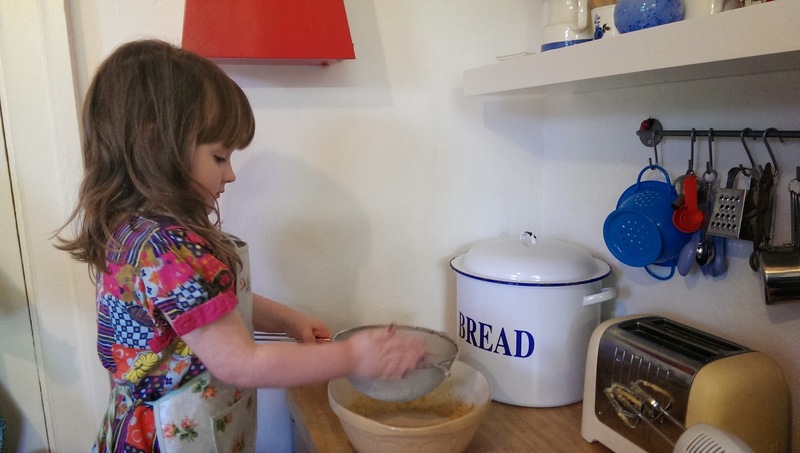 We made Apple Crumble on Sunday (eaten too quick for pics!) and today it was Banana and Seed Biscuits. This recipe makes makes about 12 biscuits. 77 Kcals per biccie. In a bowl, cream together the butter and sugar until smooth. Sieve in the the flour and spice; stir into the creamed mixture. Blob dessert-spoonfuls onto the prepared baking trays.